Whether you're in the US of A, Canada, France or the UK, summer is just around the corner. No time to dally. 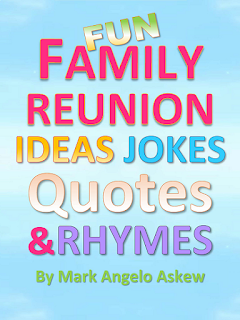 If you're planning a family reunion this year it's time to kick it and get that ball rolling! Here are a few tips to make your reunion event a most memorable one. If you read the last three articles we discussed the process of speed planning. Speed planning is the process of considering the essential elements of planning an event and getting them down in stone within 15 minutes. 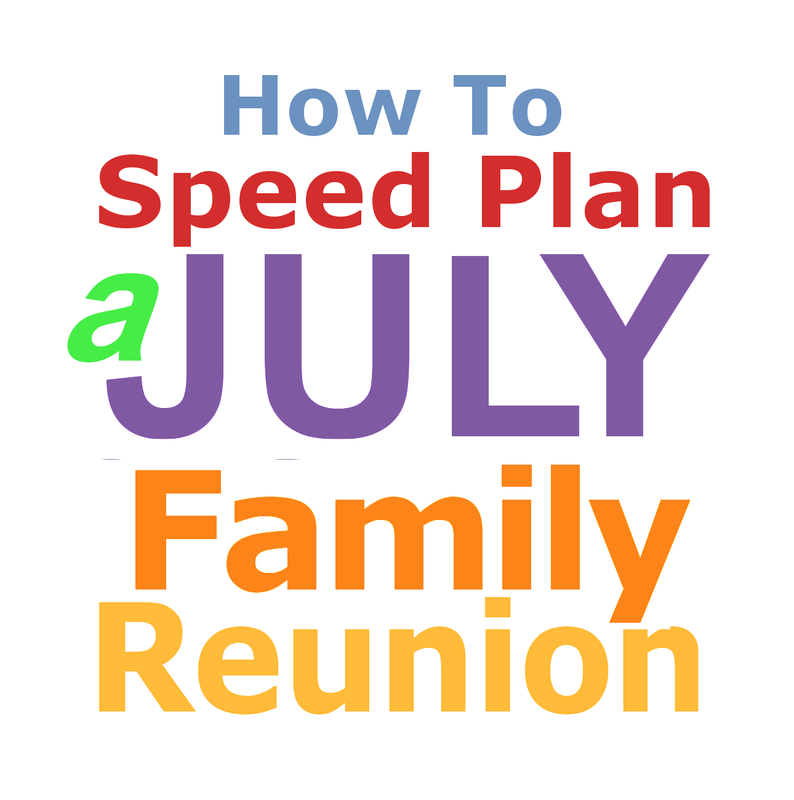 Here's what you need to speed plan your family reunion. July 20__." Where, when and what activities would you enjoy? 1. Those who reply within the next 10 minutes with doable ideas will be considered. 2. Put the suggested date, location and activities, down in your notes. 3. Ask the family to vote on their favorite date and activities within the next 5 minutes. 4. The first three or four to respond can be considered as members of the family reunion committee. 5. The date, location, and activities most favored get written in stone. A wise man once said, "Who would build a tower without first sitting down and calculating the cost to see if he has enough money to complete it?" That said, consider if the suggested activities are financially reasonable and feasible for all households involved. Read previous articles for more speed planning ideas and methods. Want practical money saving reunion planning tips? Fimark's Family Reunion Planner Keepsake and Guidebook. Family reunion planning at it's best. Everything you need to plan organize and manage a family reunion event. Scores of fun family activities. 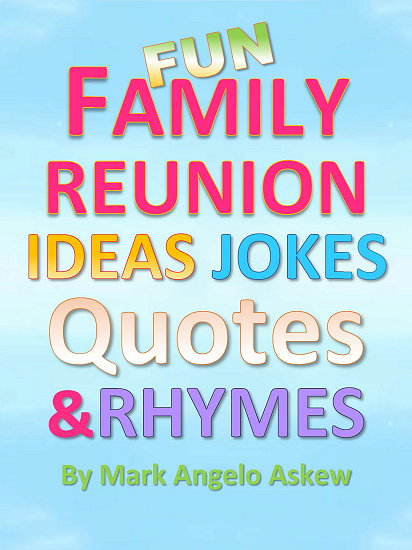 This complete family reunion event planning guide is a workbook and keepsake heirloom for generations to come. The reunion guide includes a timeline planner, checklists, budget list, themes and associated itineraries and dinner programs. The keepsake features include a signature of ownership page, an event details page, an event planning journal and a family recipe compiler complete with sections to record the history behind the family recipe. Other keepsake features include an heirloom record, family tree worksheets, and other genealogy worksheets. The reunion planning workbook includes planning tutorial for individual planners, groups, and committees. There are recommended games and activities, itinerary, survey letter and luncheon/dinner programs. Worksheets also include site evaluation, possible locations and activities, committee organization and departmental worksheets. Recommendation: Get the print copy for keepsakes, recording recipes and notes and the PDF copy to print the digital worksheets. Get the complete family reunion planning checklist and vital event planning tips using Fimark's Family Reunion Planner Social web app. This app has everything you need to plan a memorable family reunion. Themes, activity ideas, itinerary and more. See details here.